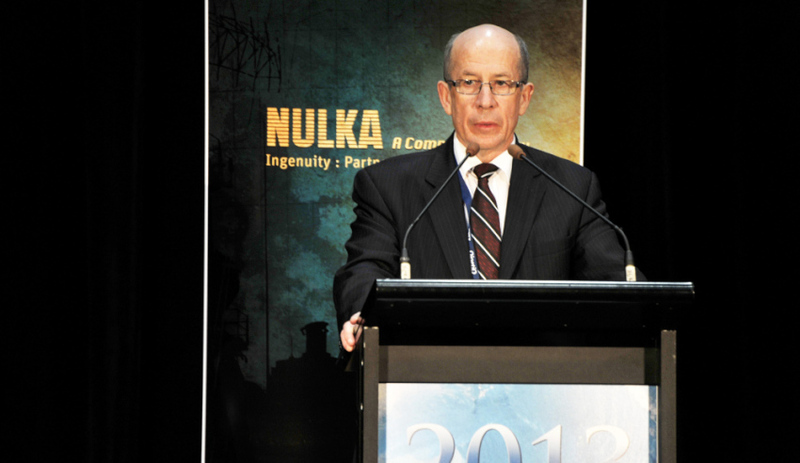 Warren King, speaking at the book launch of Nulka at the Pacific 2013 Maritime Exhibition held at the Sydney Convention Center.Image via Commonwealth of Australia, Department of Defence. Navantia Australia has announced a new chairman will be appointed at the company’s board meeting next week. Former head of the Defence Materiel Organisation (DMO) and current Navantia Australia board member Warren King will be appointed as the chairman of the board next week. Navantia said King's appointment is part of the continuing growth of Navantia Australia, which has more than tripled its Australian workforce since 2014. The ship designer and builder said King will bring vast experience to the role, having served in the Royal Australian Navy before holding a number of general manager positions in both small-to-medium enterprises and major US multinational corporations. While chief executive of DMO, King oversaw programs including the Hobart Class destroyers and reforms to the sustainment of the Collins Class submarines. "I am delighted to be able to announce the appointment of Warren King as the chair of the Navantia Australia board," said José Esteban Garcia Vilasanchez, chairman of Navantia S.A. "There are few people in Australian defence industry who are as respected and experienced as Warren. He brings a vast level of knowledge and expertise to our company." King said he is excited about the prospects of Australian shipbuilding and is looking forward to continuing to contribute. "I have always admired the work of Navantia Australia and the ships it has delivered to the Royal Australian Navy," he said. "I look forward to working with Navantia Australia as a part of the continuous naval shipbuilding program. Navantia Australia has a great record of success in this country and we look forward to a bright future as Australia’s shipbuilding partner." The latest Navantia-designed vessel, HMAS Hobart , joined the Australian fleet on 23 September, and Garcia said the appointment of King reiterates the company’s commitment to Australia. "Navantia is in Australia for the long-term," Mr Garcia said. "We have built strong relationships with Australian industry, we have grown our local workforce, and we are training the Australian naval engineers and architects of the future. The appointment of our first Australian chairman of the board is another significant step in this process." Navantia is tendering for the $35 billion Future Frigates Project against the UK's BAE Systems and Italy's Fincantieri. The successful bidder will design, build and sustain the nine new anti-submarine warfare frigates that will replace Australia's Anzac frigate fleet.